Home > IT Service and Support > Which cloud productivity tool is right for your organisation? 27 Mar Which cloud productivity tool is right for your organisation? Organisations around New Zealand are exploring their options for cloud-based productivity suites. Moving key business tools to the cloud is a great step in an innovative IT strategy, but companies must think carefully about which suite of productivity tools they choose. Always a pioneer when it comes to cutting-edge development of IT solutions, Microsoft has over the past several years been focusing heavily on its cloud-based Office 365. While traditional Microsoft Office and similar productivity suites have comparable feature sets, Office 365 has much to recommend it. The backbone of Office 365 is its selection of tried-and-true applications many businesses are already familiar with – Outlook, Word, Excel and PowerPoint being the most popular. Transitioning to an entirely new solution can be disruptive for organisations, but Microsoft's programs have remarkable consistency and ease-of-use. Office 365 offers familiar features for experienced workers. Most importantly, users will find Office 365 applications far more feature-packed than other options. This is especially true for Excel, which has been a mainstay of workplaces around the world since the 1980s. Experienced employees will likely have a greater degree of familiarity with Office 365 applications and their predecessors. There is a range of pricing options for Office 365. Imagetext's team can help you calculate your organisation's needs and recommend the most suitable pricing option, with Business plans running from $7.50 to $18.70 per user per month with a one-year commitment. All plans offer 1 terabyte of cloud-based storage. At the lower Business Essentials tier, users have access to fully online versions of applications through Exchange, a good option for lean businesses with lower budgets. The mid-range Business tier offers offline versions of the key programs for use on desktops, tablets and smartphones, while the Business Premium level offers all the aforementioned features as well as a 50 GB email inbox capacity and HD video conferencing through Skype. More and more workers nowadays demand adaptability in their IT solutions, and Office 365 answers the need for mobile productivity with a strong app presence for Android and iOS tablets and smartphones. More traditional users are also catered for, however, thanks to the option of a local install. Under the Business and Business Premium pricing options, the full productivity suite is available for installation on PCs, Macs, tablets and smartphones. 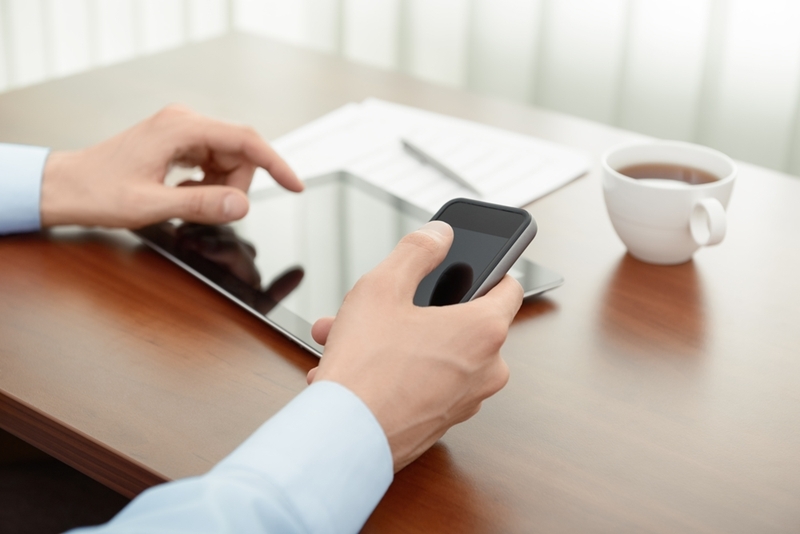 Office 365 has a strong mobile presence for users demanding flexibility. Organisations will achieve the most positive outcome by checking business needs against the strengths and weaknesses of the best service providers available. If you're after the benefits of a cloud-based system that provides consistency with decades of proven use, Office 365 is an excellent fit. Contact the team at Imagetext Integrated Solutions to learn more about our iCare service level agreement and how it can help you get the most out of Office 365.